Looking for the Perfect Easer Bunny? Our adoptables come from all walks of life. Please have a look at our guys and gals that are looking for new homes, and don't forget to click each bunny or animal's name for more pictures and information. What is one of the main ways you can help out any shelter? Be a foster parent! Fostering is a major help to both the rescue and rabbit in foster care. We are always looking for new volunteers for a variety of opportunities. Whether its fostering, transporting rabbits, or helping at Care Day, there are many ways to utilize your talents here at Magic Happens. Whether you are 20 or 200 miles away, there are a variety of ways you can help the adoptable rabbits at Magic Happens! We earn a commission on all new customers at the BinkyBunny Store if you click here through our link! Magic Happens is a network of volunteers centered in Baton Rouge, Louisiana, and serves Louisiana, Mississippi, and occasionally other states. Our mission is to rescue & find loving homes for rabbits that are at animal control facilities, abandoned or turned loose, or are unwanted by their owners. We also work hard to educate and serve our community through presentations and educational booths at events so that rabbits & owners will have a happier & healthier life together. Stop by with your bun on any Adoption Day or Care Day. Nail trims and grooming services are free, donations appreciated! We also offer boarding & bun-sitting as well as gender confirmation, and spay & neuter assistance. We also offer some services for guinea pigs as well. See all of our services at our Community Outreach page. Surrendering a rabbit or guinea pig? Click here for more information. Looking for the Perfect Easter Bunny? Click here! Our rabbits come from all sorts of places. Often they are a child’s pet and the young caretaker loses interest, especially if a calm young bunny is purchased and it becomes a “feisty” teenager or “too large” a few months after purchase. Others come from animal control, are found wandering local neighborhoods after being “set free” (which is illegal for domestic animals), come from college students who have frequent housing changes, or from families who are just “too busy” for their pet. Not all rabbits that are given up end up in rescue. Most often they are given away to another unprepared home, and the rabbit goes through the cycle again. Others are let loose, left to find palatable grasses, avoid dogs and cars, and suffer from mites, fleas, heat stroke, and other problems. Rabbits are the third most surrendered pet in the United States, but are still not nearly as common of a pet as a cat or dog, and are far less understood as a family pet. Many people don’t realize that they can be litterbox trained or should be spayed or neutered for both behavioral and health benefits. A rabbit is often acquired with too-few questions asked, or given as a gift at Easter time. Others are raised as livestock, being left outdoors and not socialized, and sit all alone day after day. Neither setup makes a happy pet, or a happy family! 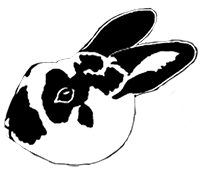 MHRR’s primary mission is to take in rabbits that need new homes, have them spayed or neutered, and find them new homes. We are a no-kill rescue; we will keep a rabbit as long as we have to until it finds a new home, whether it is 5 days or 5 years. Rabbits have their temperament evaluated before being placed up for adoption. 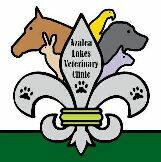 Hay and feed, toys, treats, and litterboxes are provided to all. 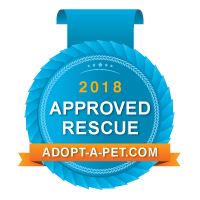 To help find homes, we rely on adoption events, our own website and pet rescue websites, local veterinarians and pet stores, social media and word of mouth. Adoption fees, donations, and fundraisers are the only means to keep our rescue efforts going. Check out our website for more information on how you can help and view our calendar to see our upcoming events! Thanks to many of our friends and sponsors! 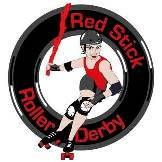 MHRR stays full - read more about our waiting list.